These are the typical comments I hear from Primary school aged children everyday in my room. Mostly none of these thoughts are true. So what is going on here? These are their negative thoughts. They are the words you hear slip out or said in frustration. They are a key to their inner self. As parents we often try to get them to change them into positive thoughts. You know what, that doesn’t usually work. It’s hard to flip a negative thought to a positive. 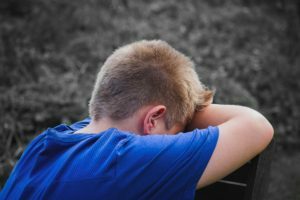 We all have negative thoughts and jump to conclusions, what we need to be mindful of as parents is how often our child is saying such negative thoughts. As the self defeating thoughts like “I have no friends” triggers such emotional turmoil such as anxiety, pain, and sadness. Without change over time these negativity thoughts become anxiety and depression.